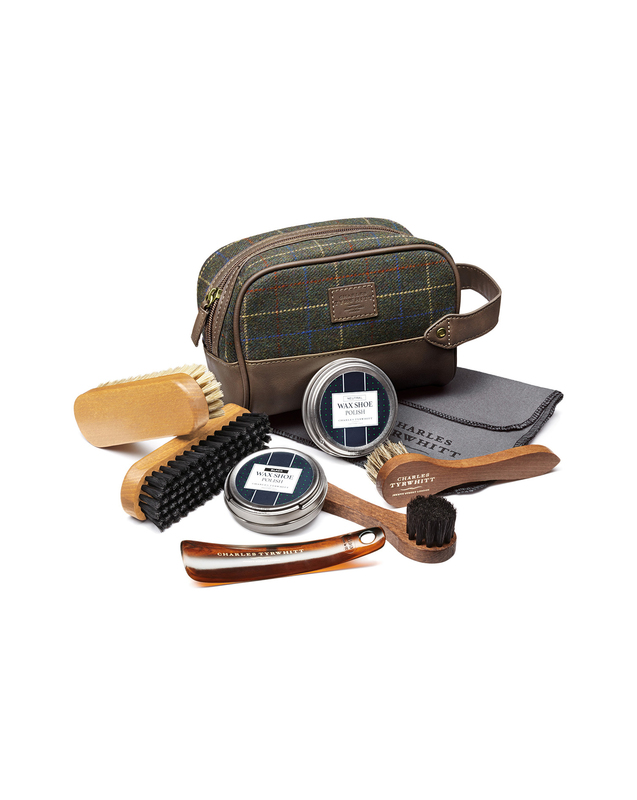 "A superior pair of shoes deserves a little looking after, which is why absolutely every shoe rack needs our shoe care kit." "Contains: 1 x neutral shoe polish, 1 x black shoe polish, 1 x polishing cloth, 1 x dark and 1 x light bristle polishing brush, 2 x applicator brushes and 1 x shoe horn." Love the horn material of the shoe horn. Items smaller than expected, but it makes it travel friendly.